Makin' some noise! Chevelle and Newport videos. 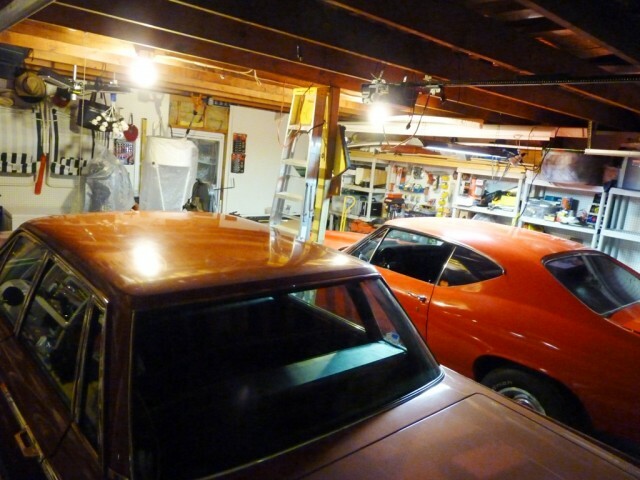 Okay, people have wanted to hear the mechanical music of the two hot-rods dwelling in my garage, so here they are! I apologize for the non-scripted narrations and noise-protection sticking out from my ears; I make no claim to being a pro film-maker. You can hear 'em start up at the end of each vid. Forgot to mention a few other mods: Also has ported heads and will soon be getting a 6-speed transplant plus A/C. 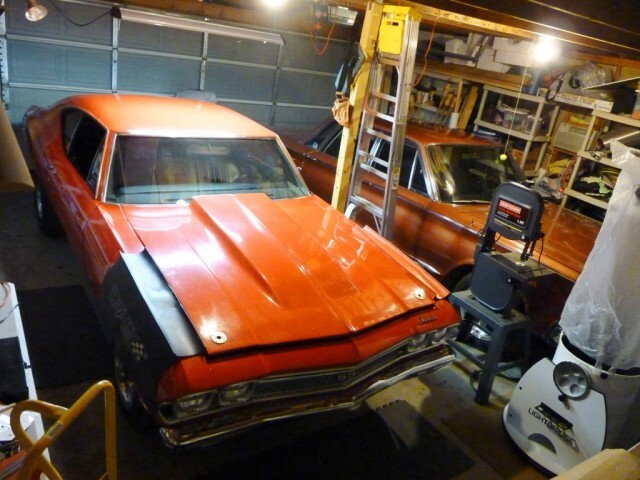 The newest addition to my stable: 1968 Chevelle SS396! Look what just arrived this morning! A badass 1968 Chevelle SS396! Okay, almost certainly it's a "tribute" car rather than a factory SS model - which would have cost about $10-20 grand more - but it is an original 396 4-speed, and now it's even faster than stock! I love how the only color in that shot is the Chevelle. 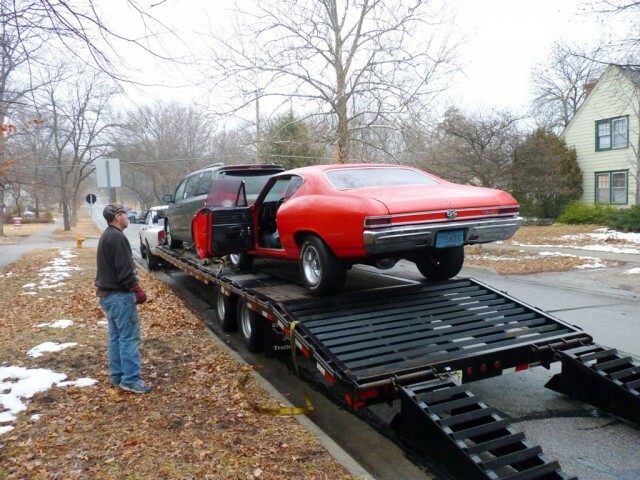 After a minute or so of warm-up (it's actually winter in Kansas now), he backed it right off and parked it in the street, where I got this requisite "Hooray my car arrived and it's as nice as I hoped!" photo! 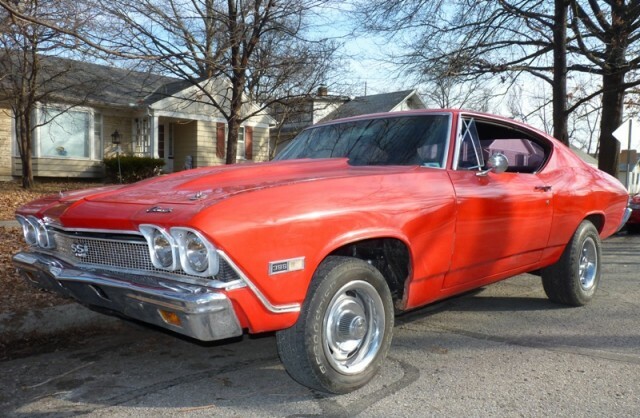 I had been looking at and occasionally bidding on Chevelles for months now, particulary the 1968 model (my favorite because of the angled nose, sleek tail treatment, cool interior design, and elegant body shape), and had actually bid on this one a few times. Yes, it's a sort of hobby. I didn't want to pay a lot, which was tough because I preferred a 4-speed and the big-block, both of which add big-time to cost. 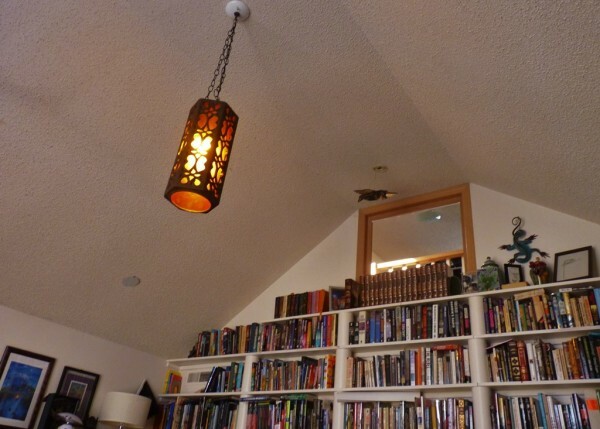 This one had been relisted several times, with a pretty horrible ad that used photos taken with a cell-phone camera. 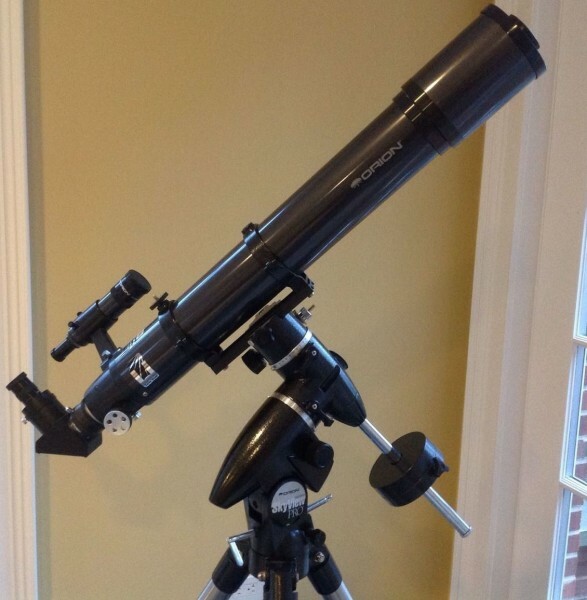 The seller never updated his ad with more description or better photos for the month or two I kept track of it, though he did lower the reserve a little each time. Finally, after the bidding once more ended without a winner, I got a "Second Chance Offer" matching my high bid (almost $4000 off the reserve price!). HOORAY! We exchanged a few emails and calls, and he sent me a much nicer photo he had from when he first bought the car. Though it wore the wrong wheels (and too big, in my opinion), it revealed that this was not a complete basket-case. I should point out that I paid about half of book value in medium condition, so I figured that even if it needs some work, whatev! We can spend some time and moolah to fix it up and even improve it. 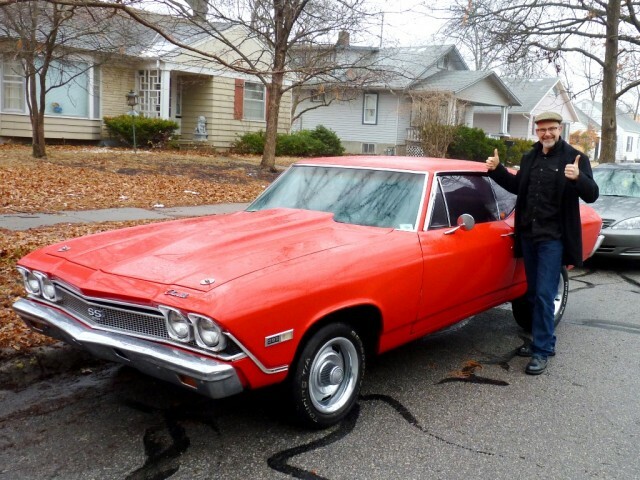 See, Chernobylred is also a big muscle-car fan, and we wanted something to use as a regular driver, so it didn't need to be perfect and we both kind of preferred it that way - it's a little scary to think of driving an expensive, historically significant car in the rain! In fact, it's going to be the first car she works on, too. 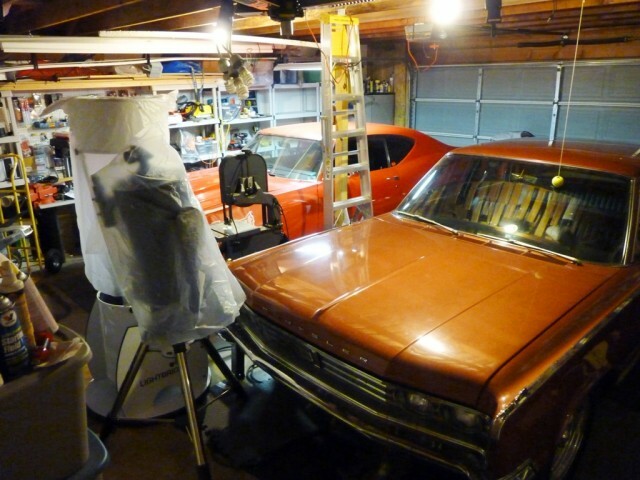 There's little more satisfying than having been part of the restoration and customization process of your classic car! Anyhow, its condition is about what I expected: a few areas of bubbling under the paint, a couple of small holes in the trunk floor, tires need to be replaced, driver's-side door panel needs to be replaced, the shifter linkage is a bit wonky, it needs to have one of those aftermarket AC/heater systems installed, and a few other things need to be addressed. On the other hand, the engine is clearly newly rebuilt - and built to the back teeth! It uses a gear drive (what an incredible sound!) to drive a hot cam, the heads are ported and polished to flow more air, it has new long-tube headers, and the power it puts down is pretty awesome to feel. Who needs first gear? Well, it'll be nice to get that fixed, but still - WOW! And even though it delivers about 450 horsepower to the wheels (way more than stock), it's a little quieter than the hot-rod Newport because it has Cherry Bomb mufflers that dump right before the rear axle, which is located using drag-race-style ladder bars. What a sound it barks out the exhaust, by the way! Oh, and I took it for a spin around the block. I discovered that it'll go a little sideways in all the gears when the roads are damp and you give it lots of throttle... heh heh. Anyway, once I got it back to the garage I spent some time wiping off the wet road grime and inspecting it. Verdict: I'm happy with the new addition to the stable. WOOHOO!